To what extent is demography destiny in politics? That’s the question that Ruy Teixeira and John Halpin’s much-discussed analysis of the 2012 presidential race puts front and center. Teixeira and Halpin posit that the balance of two forces, “the shifting demographic balance of the American electorate, and the objective reality and voter perception of the economy in key battleground states,” will likely determine the outcome of Obama’s reelection. At that level of generality, it’s hard to disagree. But I would argue that while demography matters, it is not as significant as Teixeira and Halpin believe. Yes, it makes a difference that Obama’s winning 2008 coalition relied on growing segments of the electorate while the traditional, mostly white Republican base is fated to shrink, election after election. But other things matter at least as much—especially the impact of the past three years on the orientation and enthusiasm of the Obama coalition, for reasons not all of which are rooted in the economy. Put simply: If Obama’s margins shrink among young people, Hispanics, and other key parts of his base while disappointment depresses their turnout, the falloff in Obama’s support will swamp the modest post-2008 demographic shifts in his favor. While Teixeira and Halpin don’t disagree with my thesis (it’s a matter of simple arithmetic, after all), they systematically underplay the evidence suggesting that it may well come to pass. To redress the imbalance, let’s look at the most recent Gallup numbers from the week of November 21 to 27. Obama’s overall approval rating stood at 43 percent, as it has for more than a month—a level inconsistent with a successful reelection campaign unless there’s a significant third party candidate on the right. 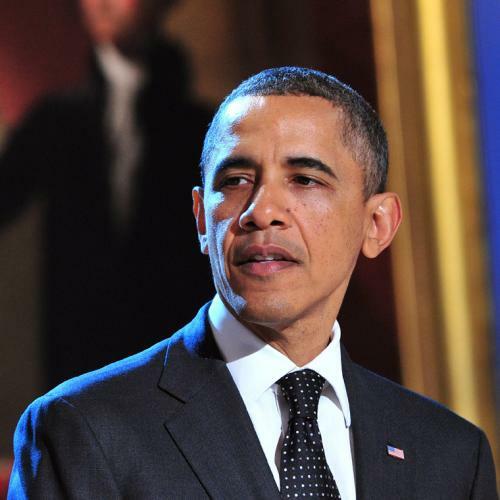 · Support for Obama among young voters ages 18 to 29 has plunged to only 48 percent. · His approval among Hispanics stands at only 51 percent. · With the exception of voters with post-graduate degrees, Obama is under water with every educational cohort: 42 percent among those with a high school diploma or less, 41 percent among those with some college, and 41 percent for voters with BAs. · While his approval among Democrats and liberals remains robust (79 and 71 percent, respectively), he stands at only 39 percent among Independents and 51 percent among moderates—about 10 points below what Democrats need from these two categories to win national popular vote majorities. · While the gulf between married voters and unmarried ones persists, Obama’s approval among unmarried voters stands at only 51 percent. It’s clear that Obama’s margins are down—way down—not just among swing voters, but in the core of his coalition as well. Compounding the problem, the base’s enthusiasm and intensity have declined as well. As Gerald Seib has noted, while Democrats won the intensity race hands-down in 2008, the reverse is the case today. In the most recent NBC/WSJ poll, 56 percent of Republicans said that they were more enthusiastic than usual, versus only 43 percent of Democrats, and 59 percent of conservatives profess to be more enthusiastic than usual, versus only 38 percent of liberals. Over the past year, every survey has found these same disparities. The bottom line is that unless things turn around considerably in the next eleven months, key parts of Obama’s winning 2008 coalition are poised to deliver both lower margins and smaller shares of the electorate than they did in 2008. (In general elections, actual votes closely mirror pre-election approval ratings.) If the election were held tomorrow against the most credible Republican challenger, the president would probably lose. Demography shapes political orientations, of course. But so do events. And this is especially true for voters who don’t enter the political arena with well-established views and habits. While there’s good reason to believe that today’s young adults will remain more comfortable with diversity—of race, ethnicity, and sexual orientation—than are their parents and grandparents, there’s no guarantee that this will translate into a liberal or pro-government orientation across the board. A thought-experiment: Suppose a Republican were to win the presidency in 2012, implemented a broadly conservative economic agenda, and that after four years the job market for young adults had improved substantially. Is it plausible that this scenario would have no impact on their long-term political orientation? Similarly, while Obama received fully two-thirds of the votes from the fastest growing ethnic group in the U.S. population, the impact of his failure to enact—or even to push hard for—immigration reform is likely to be substantial. To be sure, few Republicans even espouse such an agenda. Still, it would not be unfair for Latinos to conclude that as things stand, neither party gives them much ground for hope. Since the financial collapse began four years ago, events at home and abroad have disrupted Americans’ settled expectations. It would be prudent to assume that this will have a measurable impact on their political orientation as well. While it’s harder to predict the overall direction of these attitudinal changes, they may well tug against the influence of demography and reconfigure the political playing field. Demography isn’t destiny. But neither is anything else. Americans’ political outlook will be shaped by the choices their leaders make, and even more by the consequences of those choices.